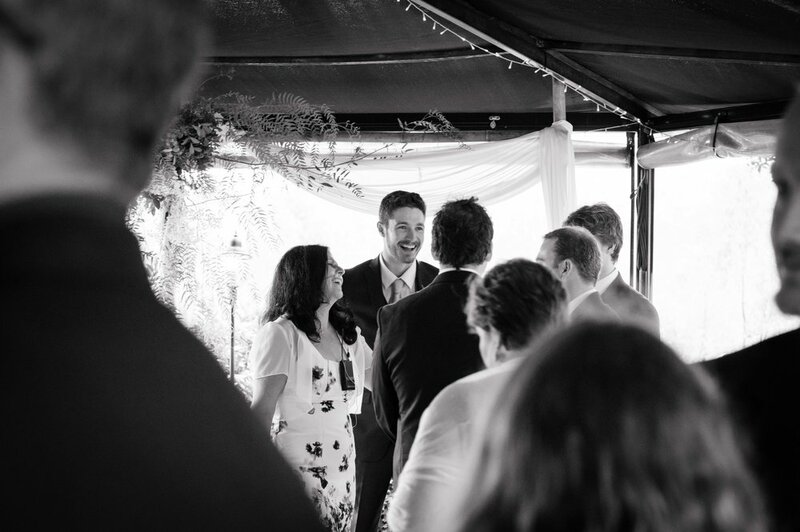 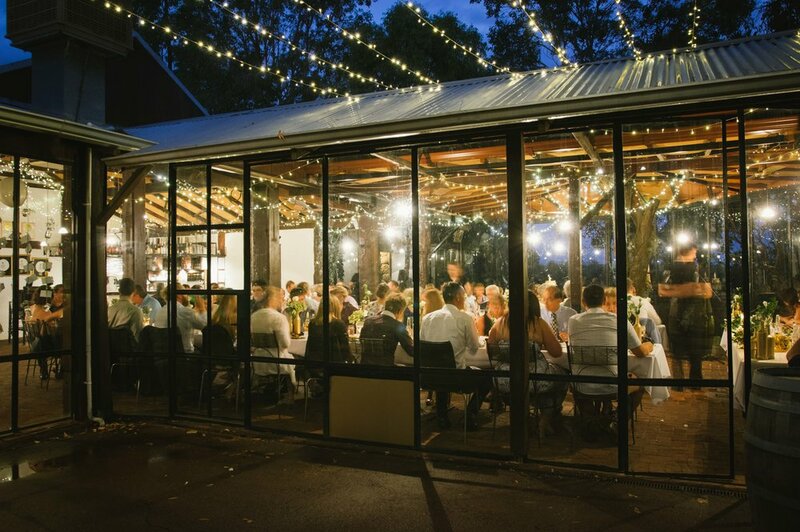 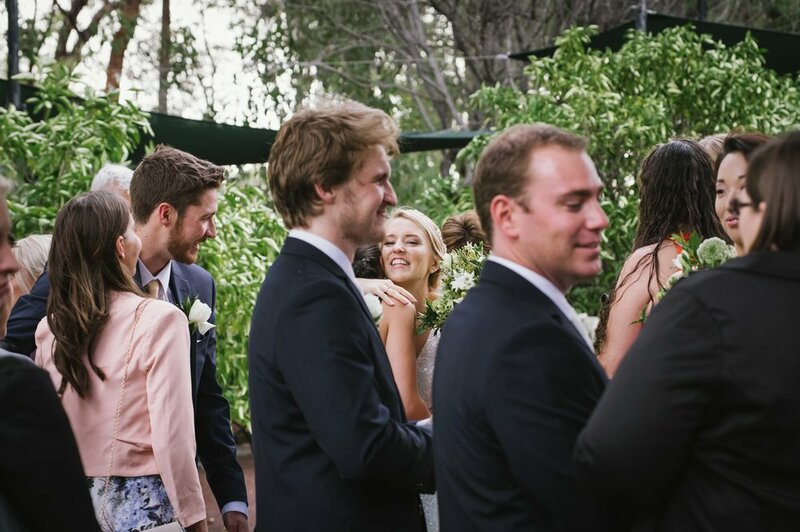 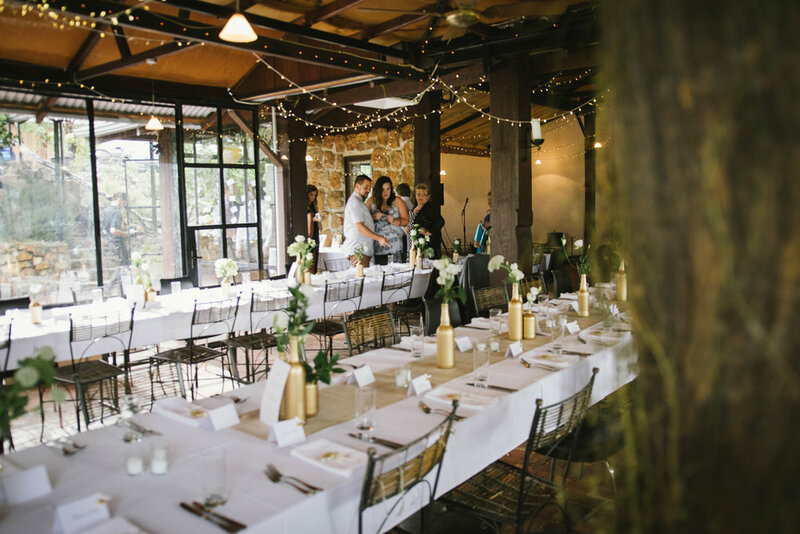 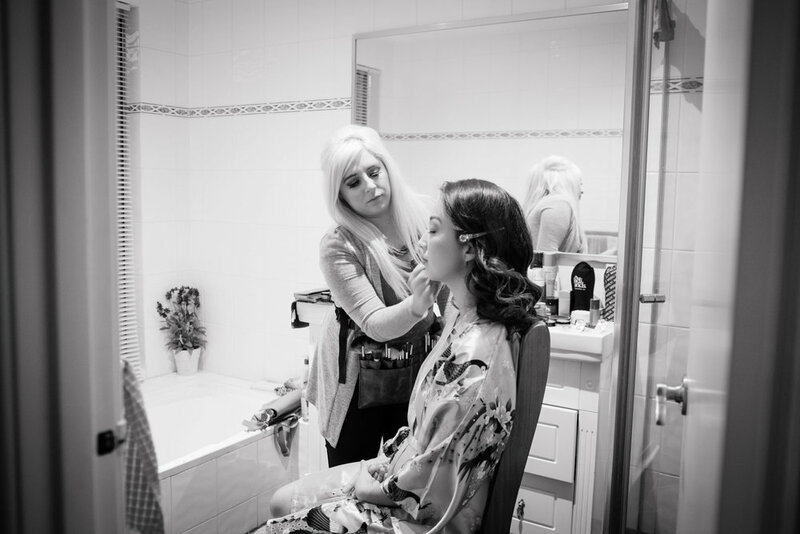 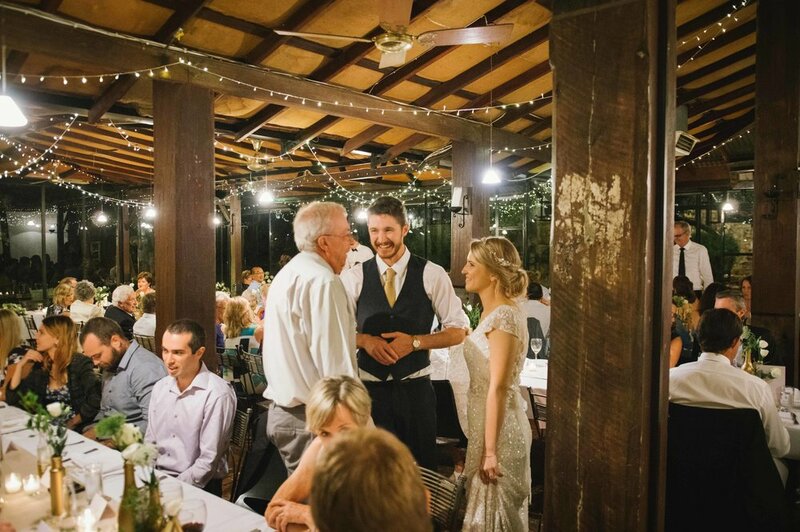 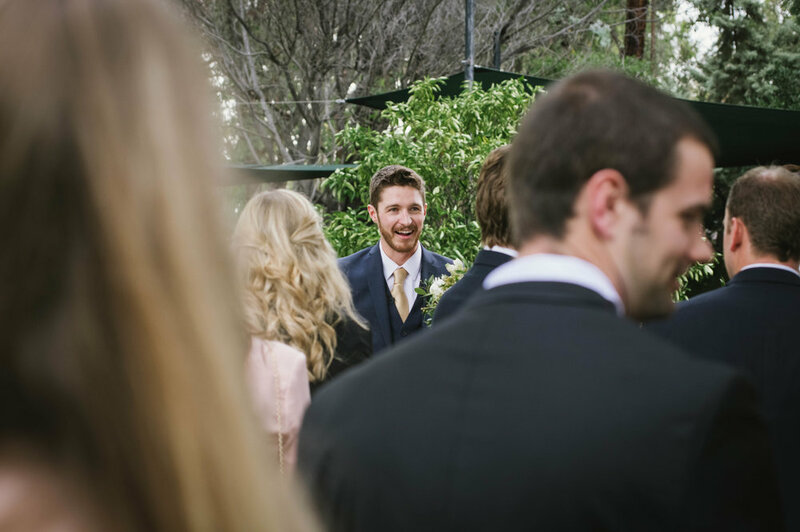 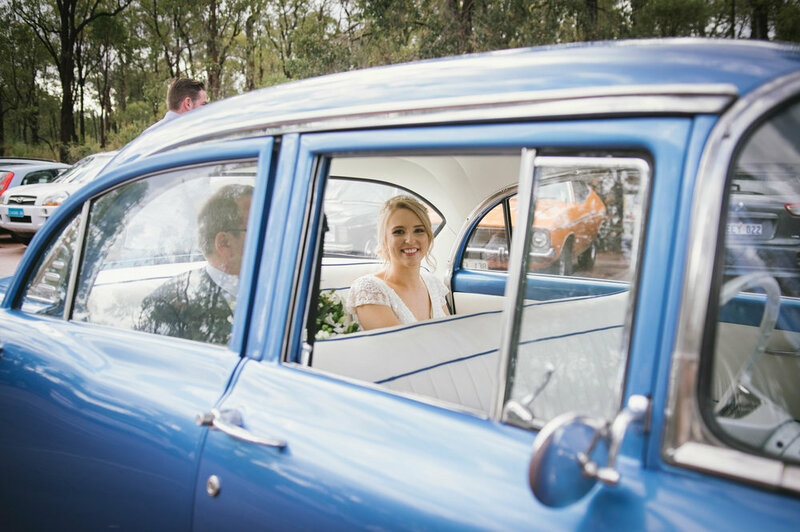 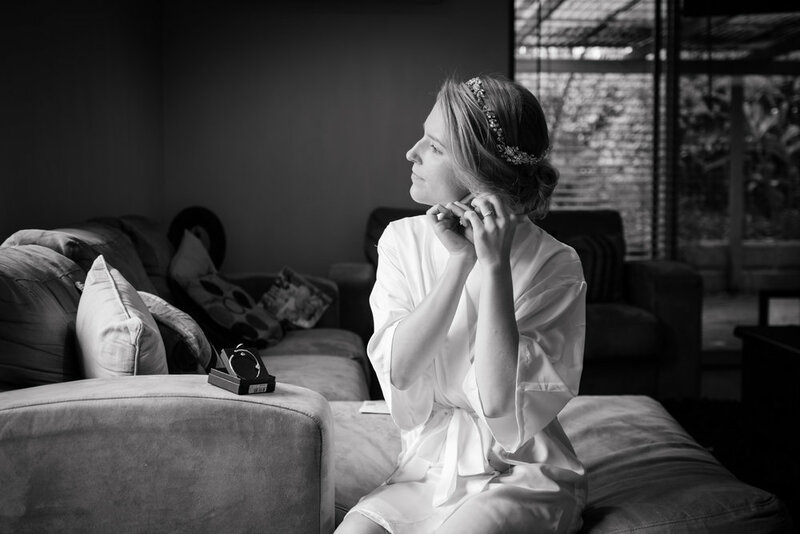 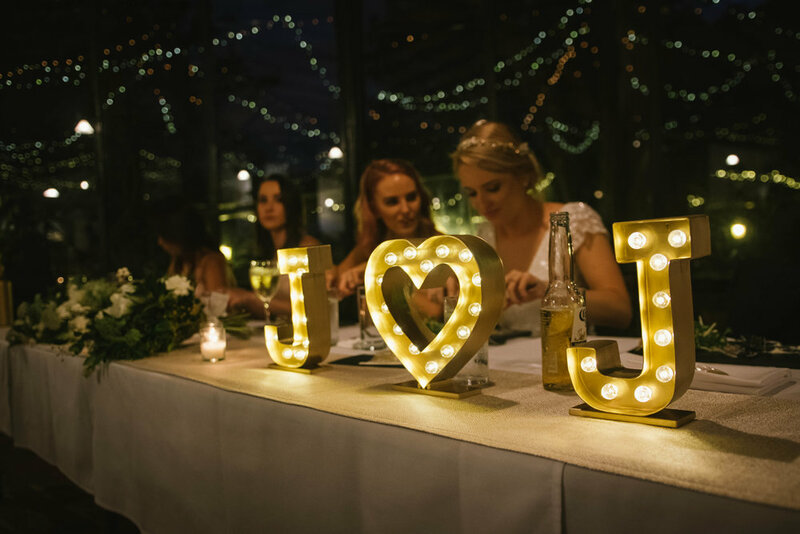 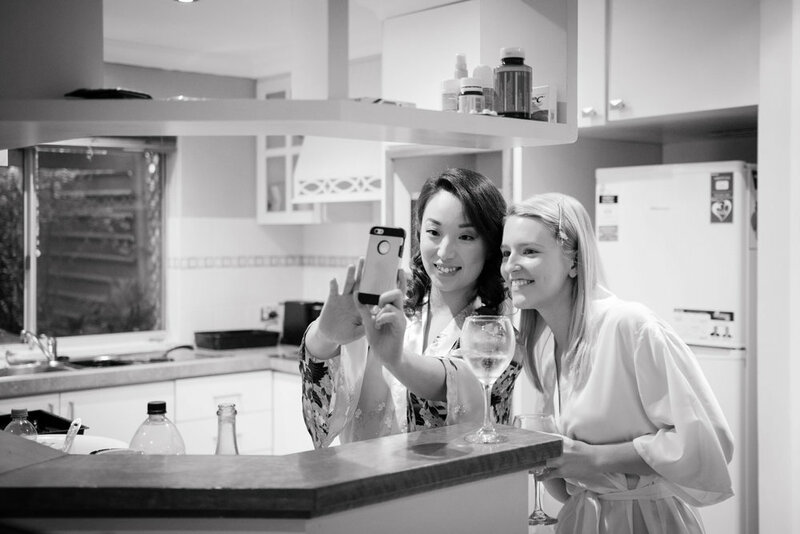 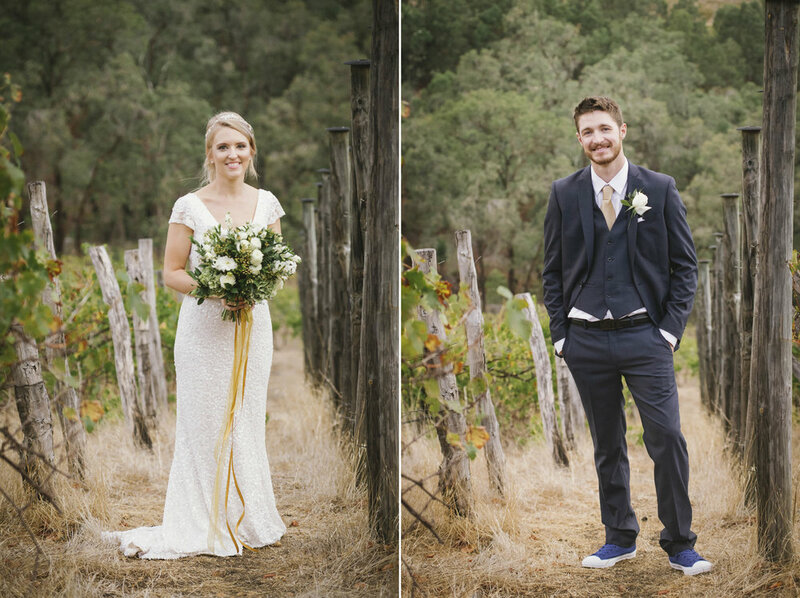 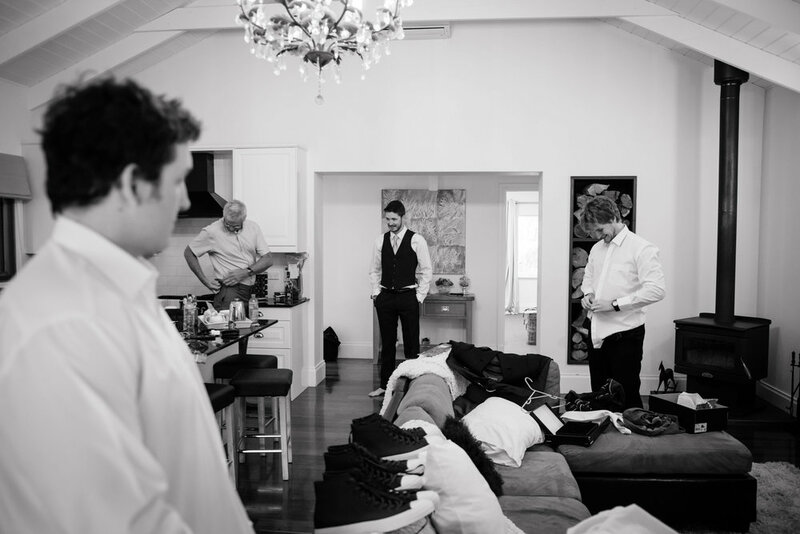 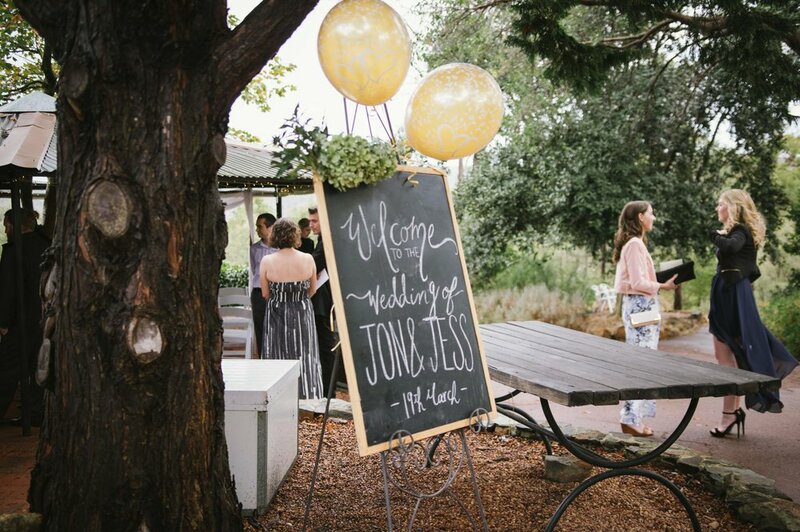 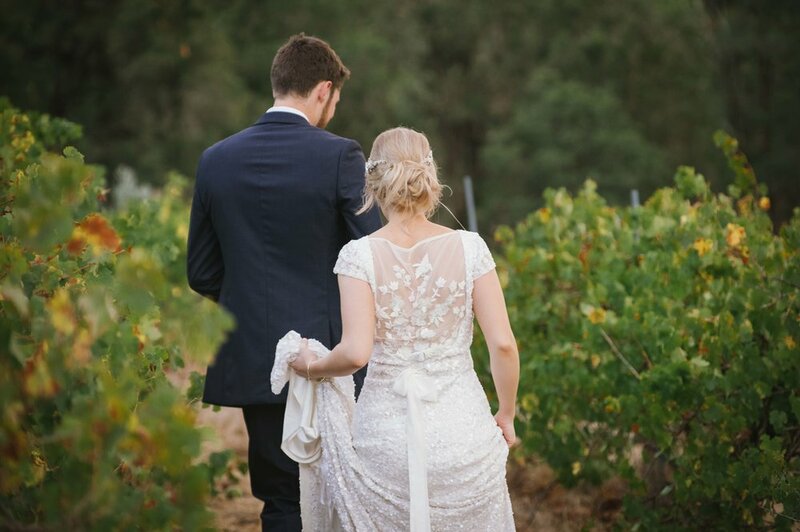 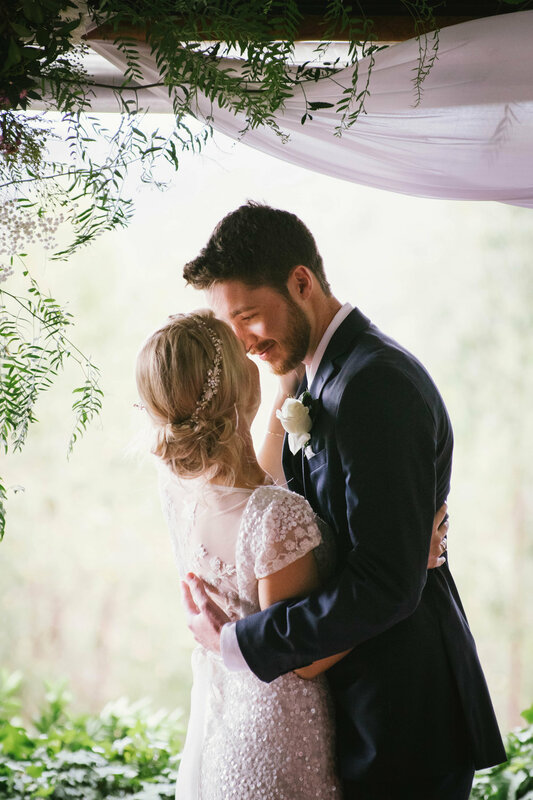 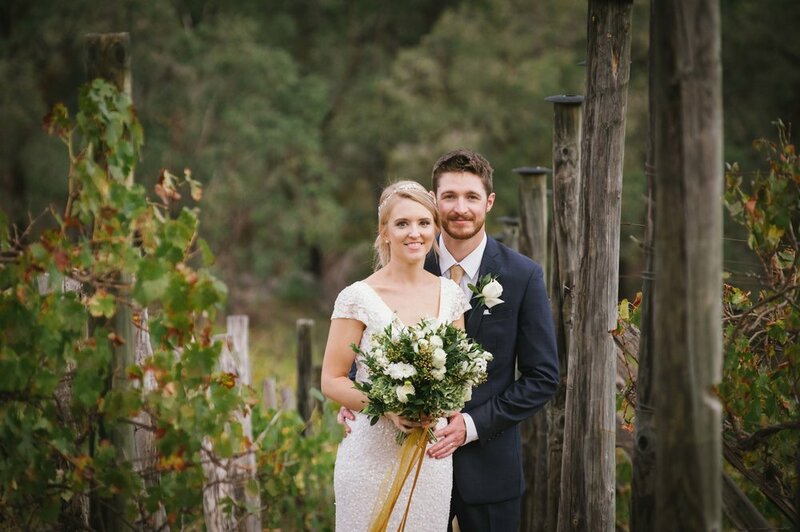 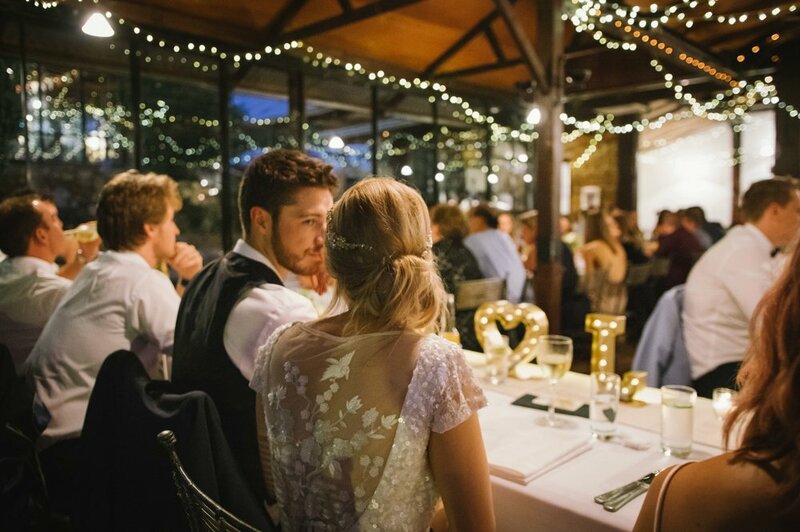 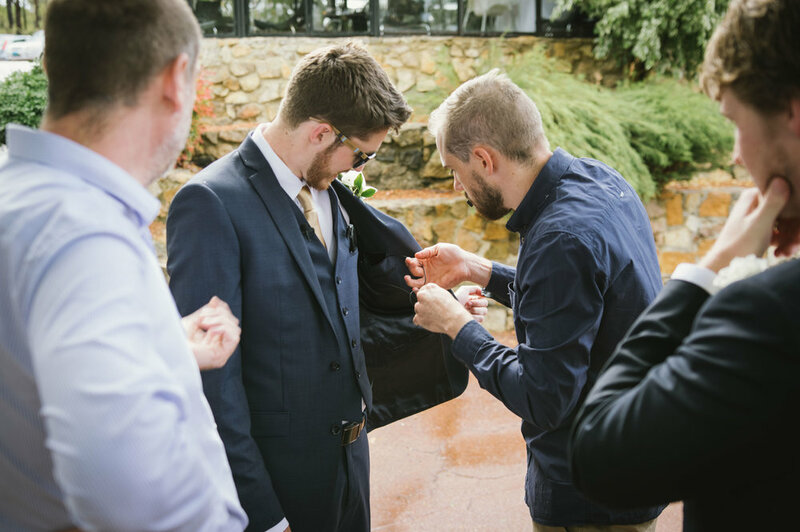 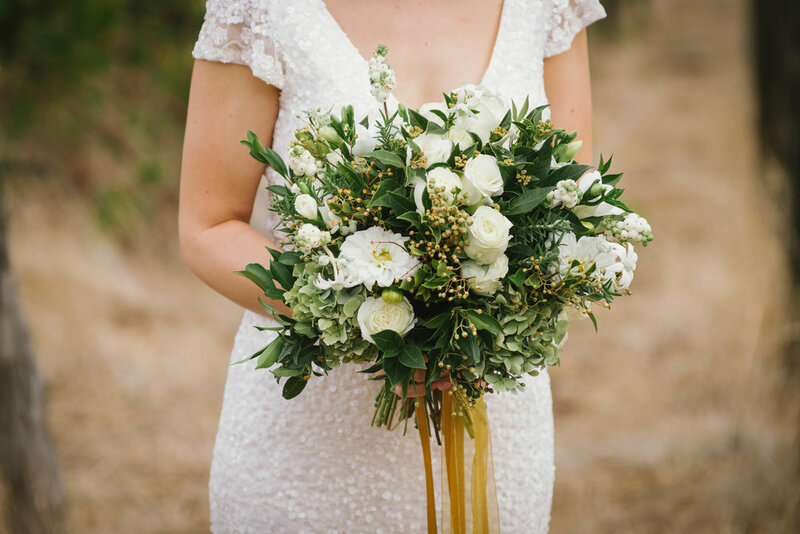 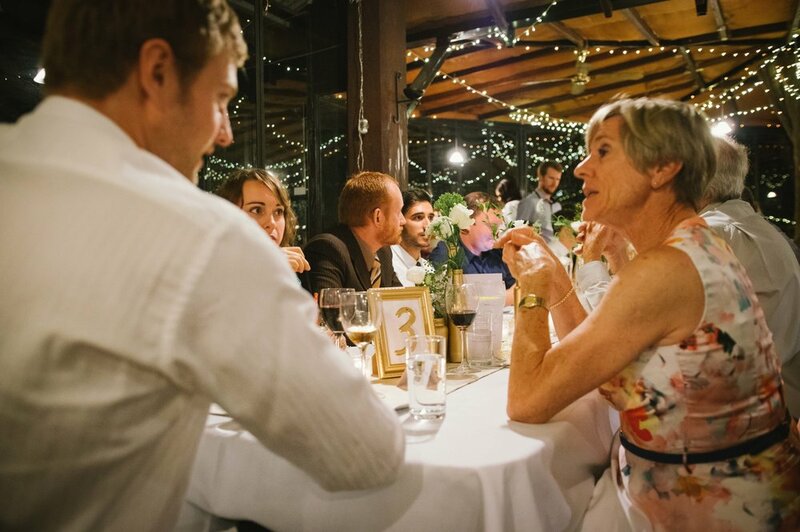 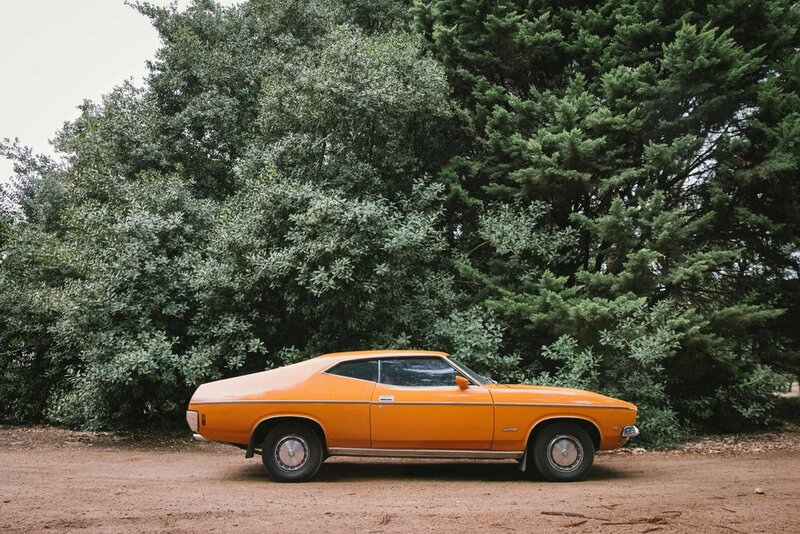 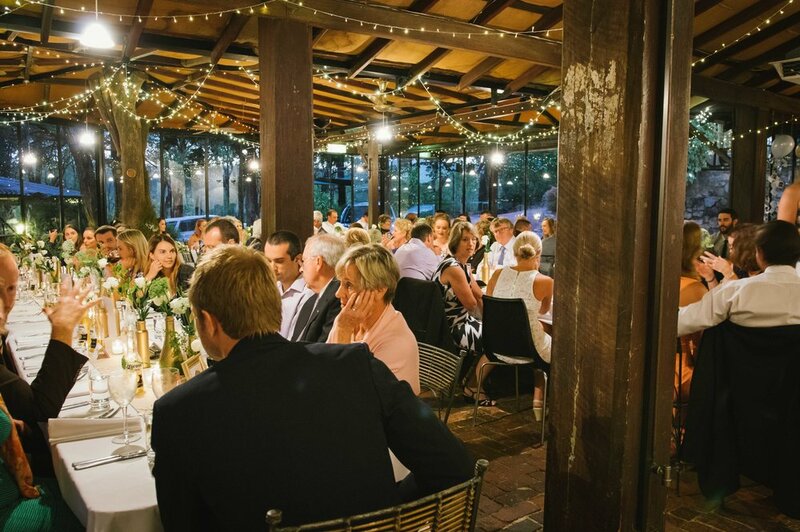 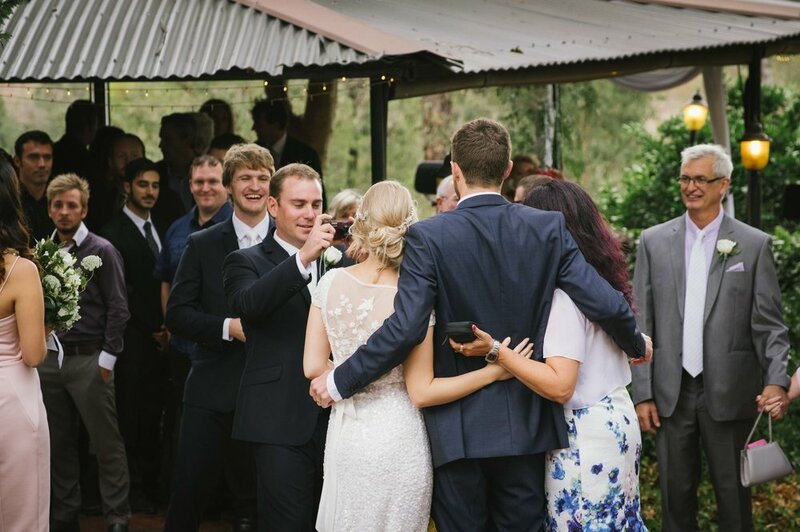 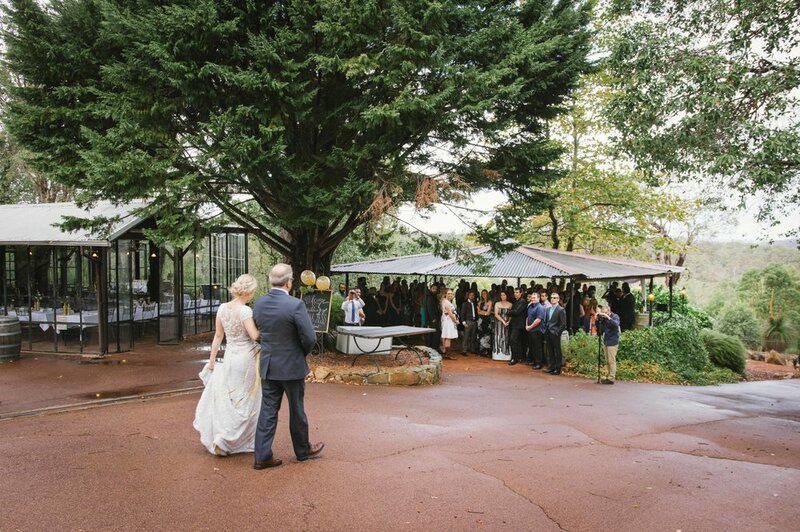 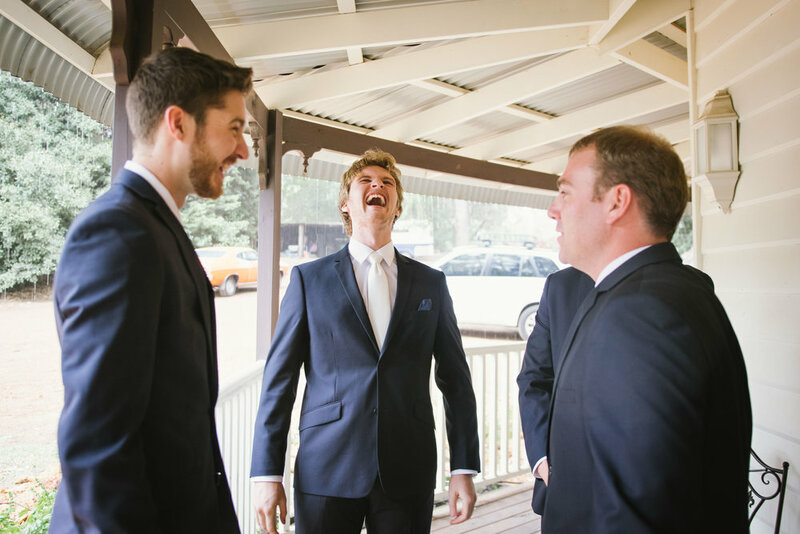 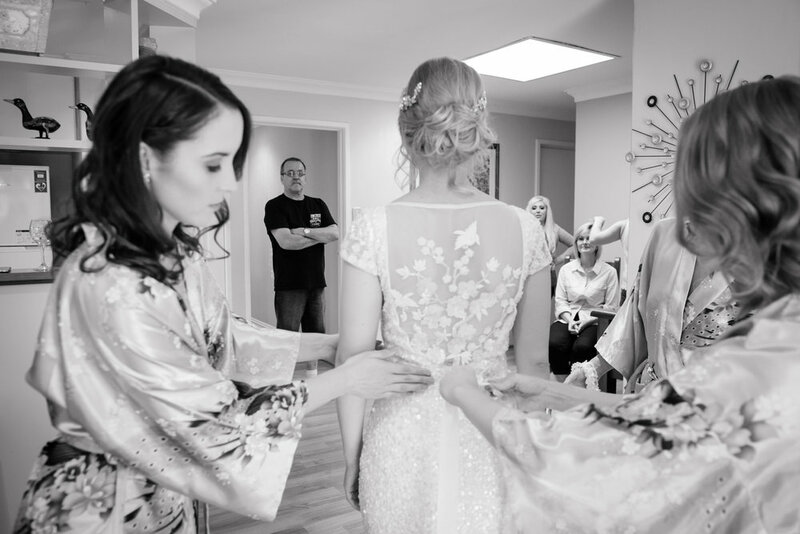 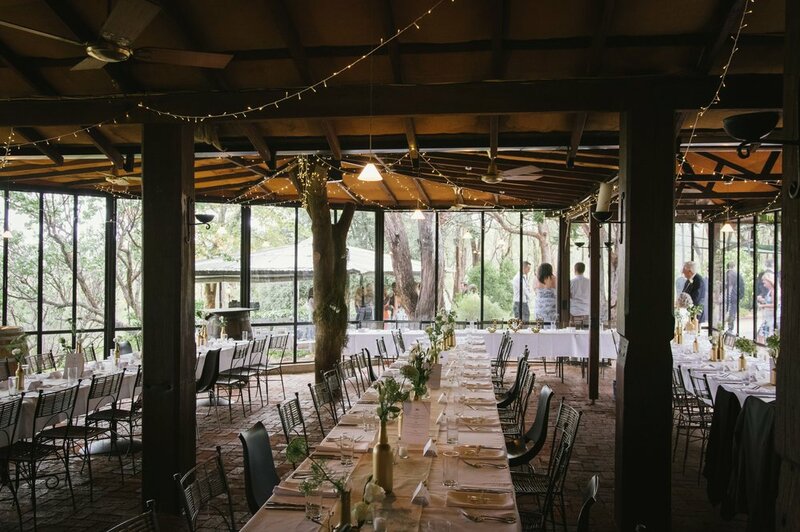 Taking time out from a busy motor racing schedule in the US, Jon and Jess travelled all the way home to WA, to tie the knot in front of their family and old friends, at the ever stunning Darlington Estate Winery, set in the bush in the Perth hills region. 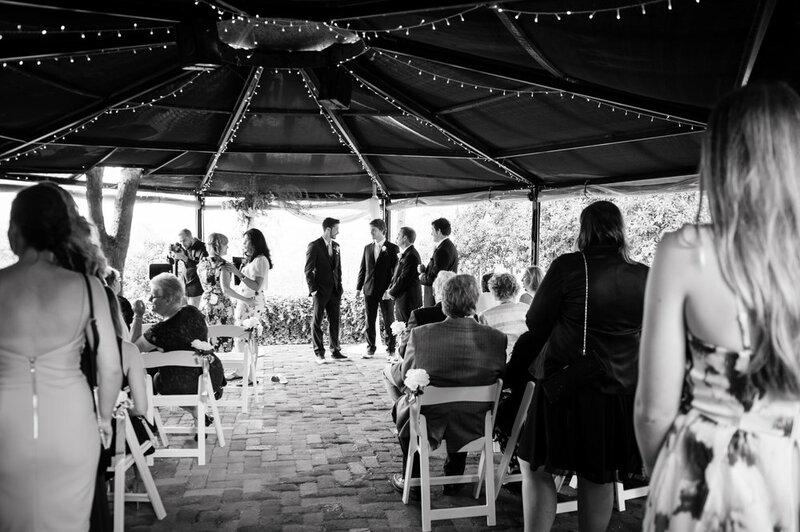 And what a beautiful day it was, and such a beautiful time of year too. 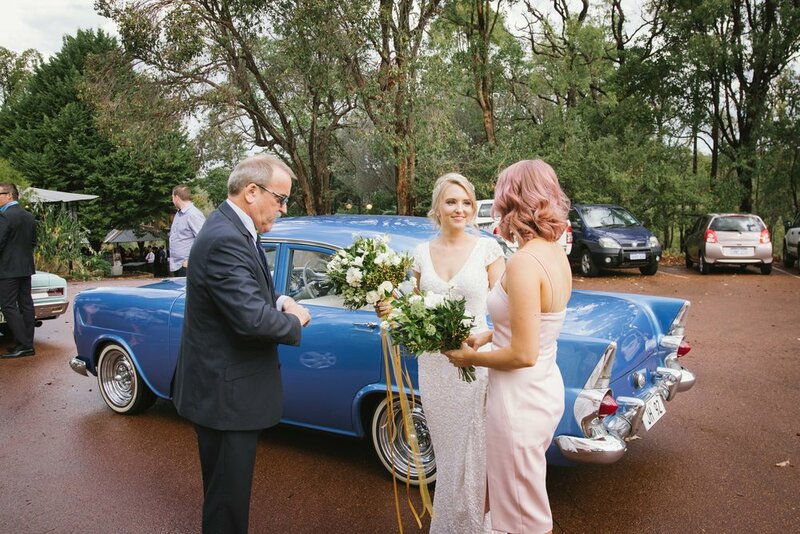 March has always been my favourite month in Western Australia. 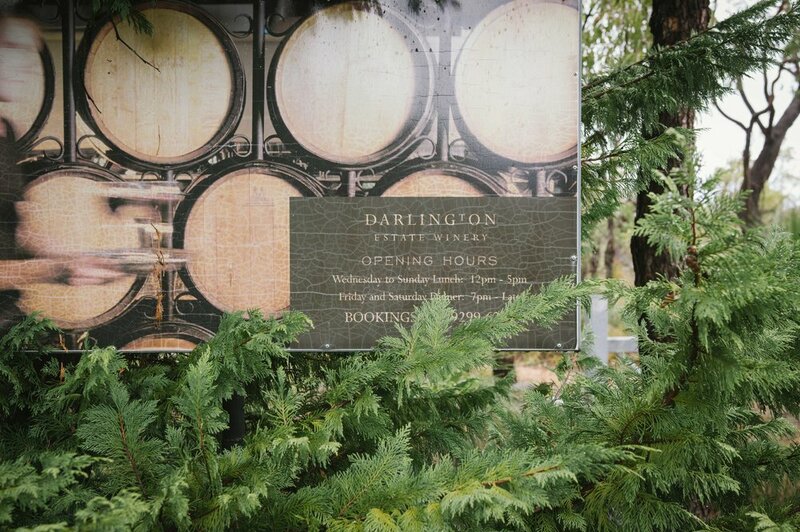 It signals the end of Summer with its warm dry days, and cool, crisp Autumn evenings. 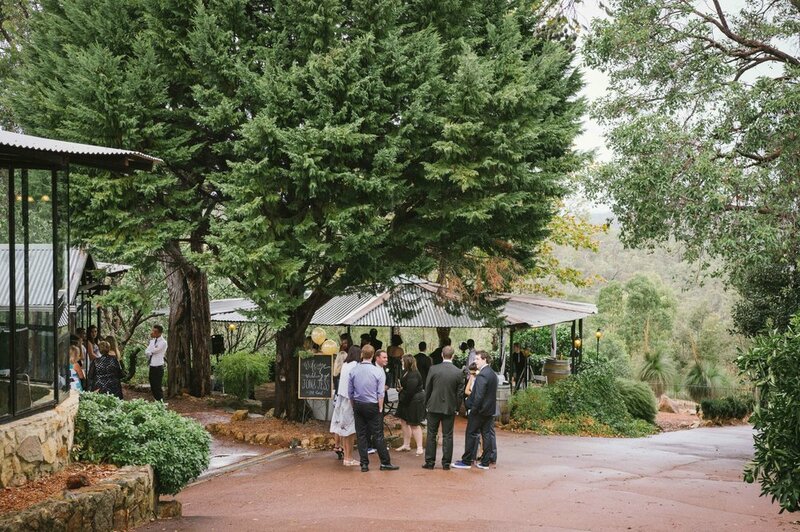 Although on this occasion, it rained, and rained and rained, a warm, sticky, tropical kind of rain, which thankfully let up by mid afternoon, just in time for the ceremony and reception! 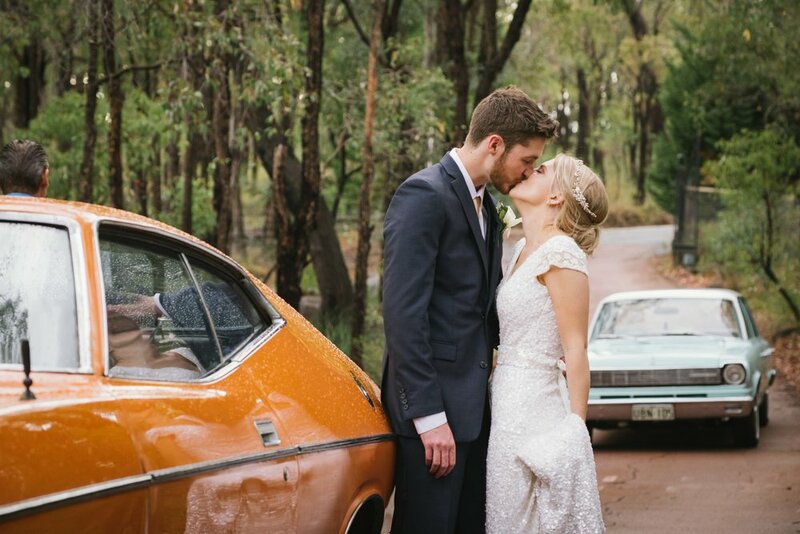 Featuring a bunch of cool old cars, including the grooms very own bright orange mid 70's Ford, a set of blue hipster hightops for the boys, a very special vintage watch, some fabulous rustic DIY details and styling, and the most beautiful beaded bird and flower arrangement I've ever seen on the back of Jess's dress, this wedding oozed love, style, creativity and charm on all fronts. 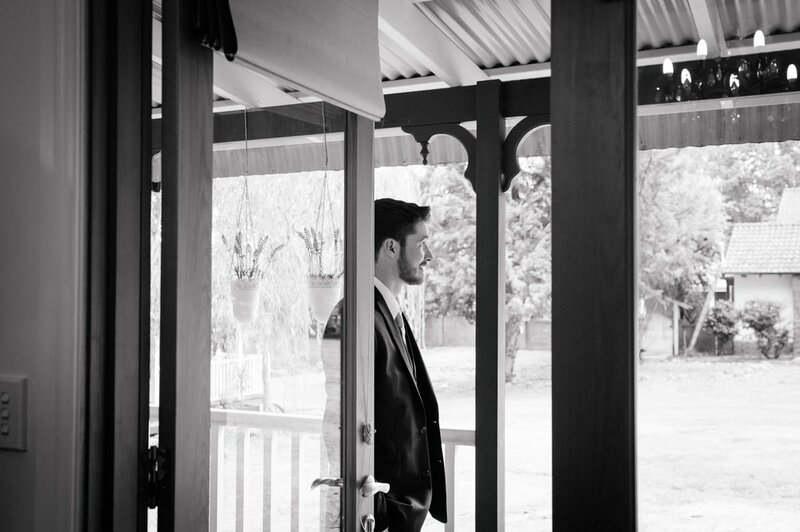 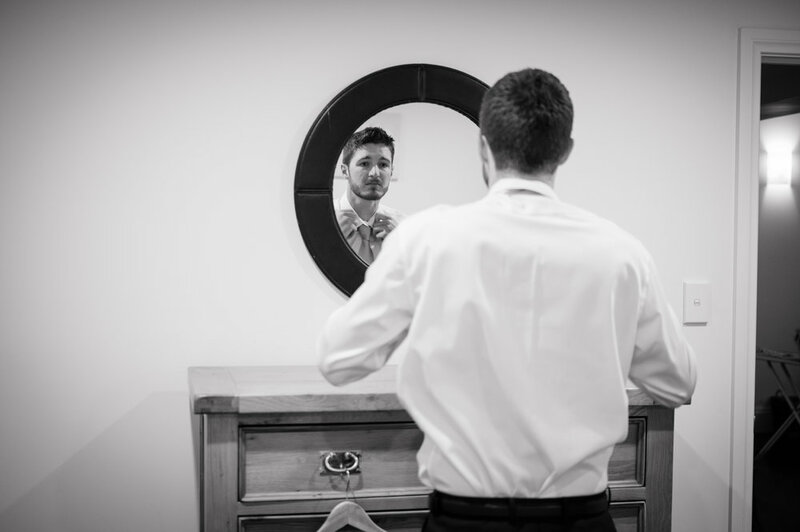 Congratulations Jon and Jess, it was an awesome day, and a pleasure to be there to document it for you!